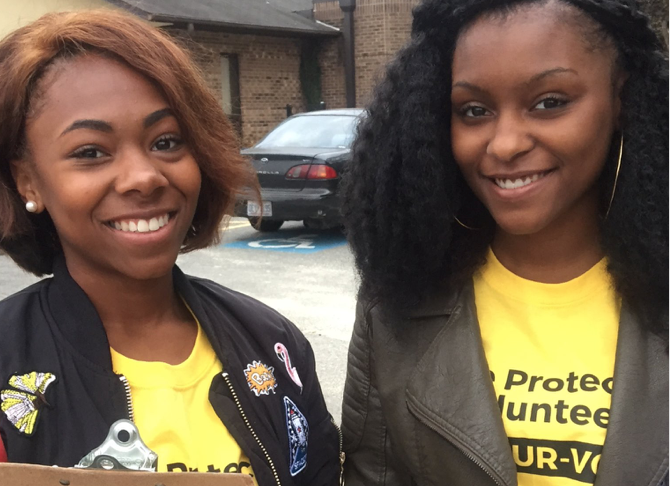 In 2016, Democracy North Carolina hosted the largest election protection field program in the country, with over 1,000 poll monitors assisting voters in a majority of North Carolina counties. Democracy North Carolina, the state’s leading election watchdog organization, today released a comprehensive review of the 2016 election, providing detailed recommendations for improving voters’ experience at the polls in 2018. The 27-page report is based on first-person accounts gathered during early voting and on Election Day 2016 from voters, on-site poll monitors, and calls to the Election Protection hotline. While the report acknowledges challenges elections officials successfully overcame in adjusting to continuous changes to voting laws during 2016, it emphasizes that more can be done to avoid problems with malfunctioning equipment, long waits at the polls, and improperly-trained or discourteous poll workers. poorly trained or discourteous poll workers. State and county boards of elections should improve consistency in poll worker use of the existing protocol for out-of-precinct voting, so that it’s clear to all at the polls that the choice to vote provisionally out-of-precinct lies with the voter, not poll workers. The State Board of Elections (SBOE) should review its training materials on curbside voting, and work with county officials to improve curbside voting signage, wait times, and implementation. SBOE should request funding from the General Assembly to assist with upgrading voting equipment and other elections costs – which are currently borne exclusively by counties. SBOE should develop a “Code of Conduct” for North Carolina poll workers that stresses the importance of (1) courtesy, respect, and sensitivity toward all voters regardless of age, race, language, gender, and ability; (2) clear communication; (3) efficiency and convenience; (4) basic knowledge of NC election law and administrative guidance; and, (5) commitment to ensuring that all eligible voters are able to cast ballots. Increase and expand state and county efforts to recruit younger, more diverse, culturally-competent, and tech-savvy poll workers. Democracy North Carolina’s full report is available at demnc.co/elexreport. REPORT: "A Voter's View: Lessons from the 2016 Election"
This report focuses on the lessons that can be learned from North Carolina voters who faced problems at the polls in the 2016 general election.